Delta’s Power Meter DPM Series offers precise measurement of various electrical energy values and power quality parameters, including power factor, harmonics, and current / voltage unbalance with functions such as off-limit alarms and history logs. It provides exceptional Communication quality and monitoring functions that are especially suitable for sectors where power quality is critical. Delta power meter is excellent and suitable for applications such as; Power Monitoring and Control, Energy Management Systems, Medium / Low Voltage Power Distribution Panels, Building Energy Management Systems, Factory Energy Management Systems, Factory Automation and Intelligent Buildings. DPMSoft software is use for configuring Delta Power Meter through MODBUS communication. Using DPMSoft for Delta power meter setup and data acquisition, ensures easy power management and analysis. Did you already test our DVPSCM12-SL? If not, I don’t know what are you waiting for! The DVPSCM12-SL is the magic device that allows you to communicate with any RS485 based device. And we’re no talking only about PLC’s or HMI’s… We’re talking about inverters, HVAC, Electrical power analayzers or whatever your customer decides that needs data. You can find plenty of information in our Announcement: New products DVP02LC-SL and DVPSCM12-SL post. 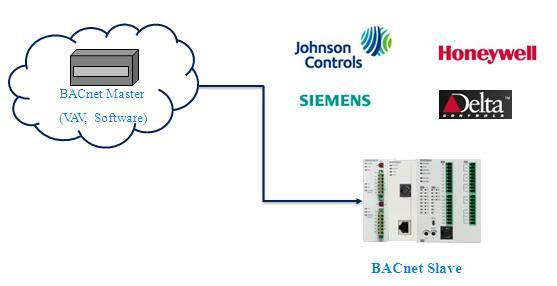 As you can see in this presentation, our device is able to communicate with the main HVAC brands (Johnson Controls, Honeywell, Siemens, Delta), And we demostrated on the below videos. For further information don’thesitate to download the manual of this device on our web site.